The Blue Tone Chamber Players create an elegant mood with both classical and popular music performed by world class musicians. As a small group, they are able to provide the desired atmosphere for a rehearsal dinner, reception, corporate event, fundraiser, gala, or wedding ceremony. The Blue Tone Chamber Players offer all types of traditional and non-traditional instrumentation. Add a trumpet or a vocalist to add another dimension of grace, beauty, and dynamic regal brilliance to the repertoire. Other available instrumentation include harp, organ, classical guitar, flute, oboe, upright bass, solo piano, and bagpipes. In addition to classical music our extensive library includes Sacred Catholic, Jewish, Contemporary Christian, Celtic Irish, Popular, Broadway, Jazz Standards, Movie Soundtracks, Patriotic, Italian, French Musette, Christmas music, and more. 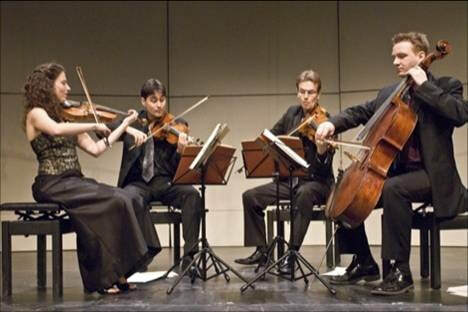 The Blue Tone Chamber Players create an air of sophistication for any special event! Contact the Blue Tone team for your free consultation!